Phoenix — The WateReuse Association honored utilities, businesses, and people that have demonstrated extraordinary leadership in advancing sustainable, locally controlled water supplies during the Annual WateReuse Awards Luncheon held in conjunction with the 32nd Annual WateReuse Symposium. “This year’s winners have demonstrated innovation and creativity in using water reuse to ensure a safe and reliable water supply for their communities,” said WateReuse President Guy Carpenter of Carollo Engineers. “As more and more communities turn toward water reuse to manage their water resources, these awardees are creating solutions that others can use,” added WateReuse Executive Director Patricia Sinicropi. Project of the Year, Large — Liberty Aquifer Replenishment Facility. The Liberty Aquifer Replenishment Facility in Goodyear, Ariz., reuses more than 5 million gallons of reclaimed water each day to enhance the reliability of drinking water supplies. Project of the Year, Small — Vadose Injection Project/City of Goodyear, Ariz. The Vadose Injection Project replenishes the aquifer that is the source of the City of Goodyear’s drinking water with nearly 3.6 million gallons of reclaimed water each day. Industrial Project of the Year: Evoqua Water Technologies & Air Products – Brine Recovery Reverse Osmosis Project. 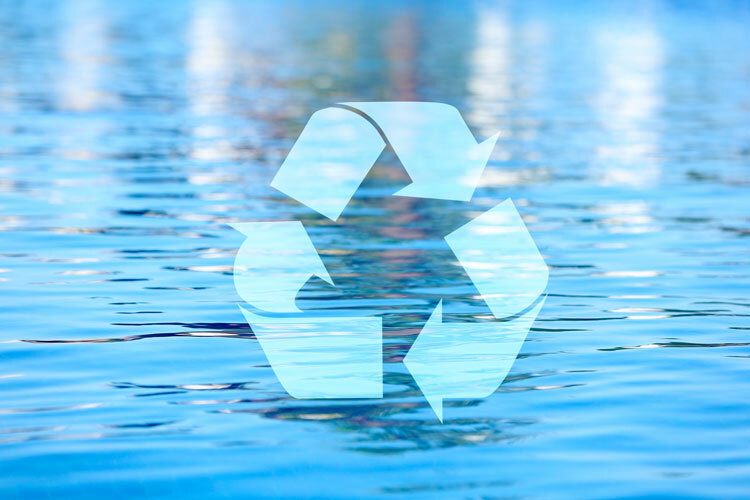 Evoqua Water Technologies and Air Products, a Los Angeles based hydrogen production facility, installed a brine recovery reverse osmosis technology to reduce water and wastewater impact by up to 75 million gallons a year. Agriculture Project of the Year: Farming Reimagined: Advancing Urban Agriculture with Water Reuse Technology. Pentair and Urban Organics collaborated to create indoor farming locations in St. Paul, MN using aquaponics to facilitate the reuse and recirculation of water and nutrients from fish to plants and back, resulting in a 90 percent reduction in water use. Institution of the Year: Water & Energy Sustainable Technology Center (WEST). The University of Arizona WEST Center is a world-renowned venue for interdisciplinary research and is co-located with a full-scale modern water reclamation facility, Agua Nueva. Innovative Project of the Year: pureALTA – An Innovative Potable Reuse Demonstration Pilot without RO. The pureALTA potable reuse demonstration project in Altamonte Springs, FL produces potable water without using reverse osmosis treatment or generating the corresponding waste stream. The water quality results will assist the Florida Department of Environmental Protection in the development of regulations. Public Education Program of the Year: Orange County Water District. This past year, the Orange County Water District (OCWD) in Fountain Valley, Calif. embarked on new outreach initiatives including the bottling of advanced purified water, opening its H2O Learning Center, and translating technical brochures into four languages. Public Education Program of the Year: Water Citizen Academy/Scottsdale Water. Scottsdale Water’s advanced water treatment facility and its indirect potable reuse system are an integral part of the Water Citizen Academy classes, which began in spring of 2016 to improve customer satisfaction and stakeholder understanding. WateReuse Customer of the Year: Lake Mission Viejo Association. Lake Mission Viejo is a man-made lake first filled with potable water in 1978. Today, the lake is the first swimming and recreational lake in California to use recycled water for supplemental lake refill. LMVA also uses recycled water for irrigation. WateReuse Person of the Year: Jeffrey J. Mosher, Chief Research Officer, Water Environment & Reuse Foundation. Jeff Mosher has demonstrated outstanding leadership in advancing vital research and addressing significant challenges in the field of water reuse, particularly potable reuse. WateReuse Young Professional of the Year: Germano Salazar-Benites, SWIFT Project Manager, Hampton Roads Sanitation District (Virginia Beach, Va.). Germano Salazar-Benites manages technical and operational aspects of the Hampton Road Sanitation District’s Sustainable Water Initiative for Tomorrow (SWIFT): a water reuse project in eastern Virginia that plans to replenish shrinking groundwater supplies. The Annual WateReuse Awards recognize people and projects that have made significant contributions to water reuse. Recipients have successfully advanced the development of alternative water supplies or developed a novel approach to meeting local water needs.